We will be spending the weekend at the Valley Branch Retreat in Nashville, Indiana. The property has plenty of activities to take part in on top of the music we are hosting. Paintball, Zip Lines, ATV tours, Bike Trails, Hiking and Fishing! We are honored to announce that Dr. Ralph Stanley is performing the Muddy Roots Spring Weekender before he retires next year! Tickets are limited to less than 500 and will sell out! 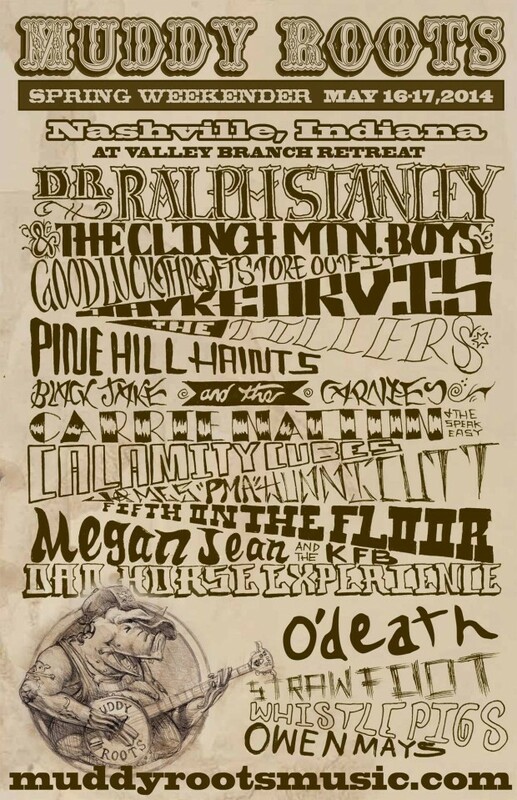 Come and enjoy an intimate Muddy Roots weekend with us!